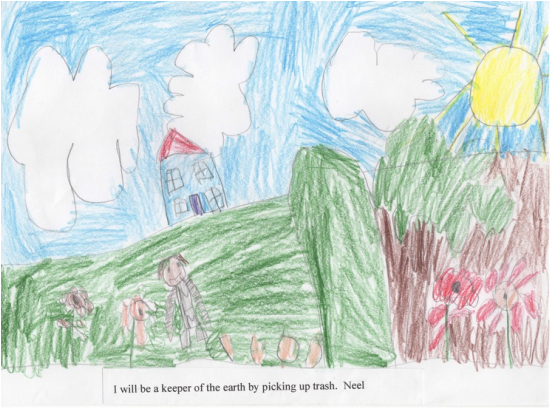 Over 150 children participated in the Keepers of the Earth Drawing and Essay contest for children ages 4-11.
care and concern for the planet. 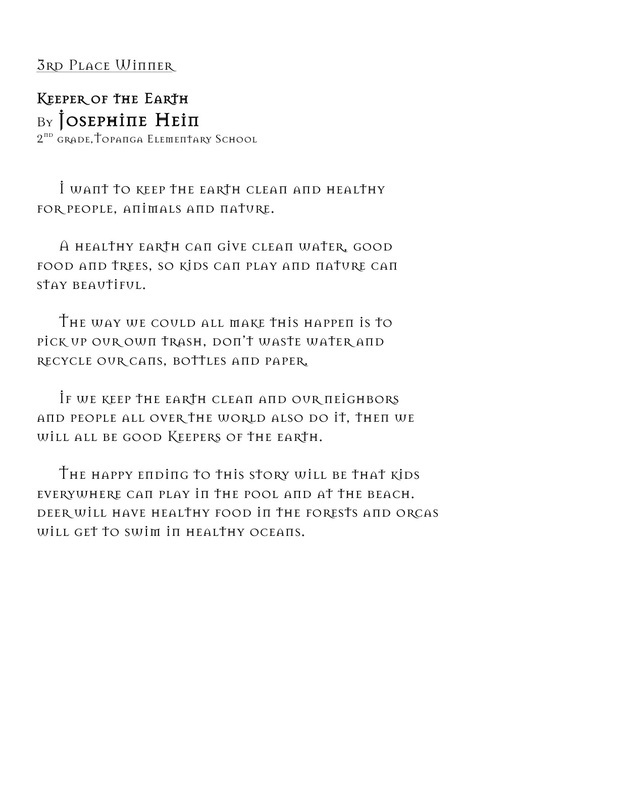 The children really took to heart this very important question & shared many thoughts & ideas about what it means to be a good steward of planet earth. 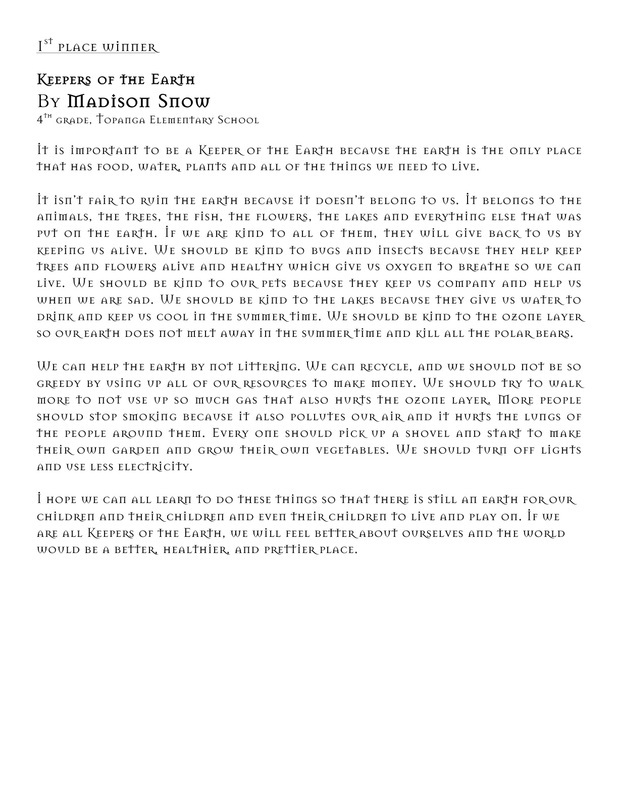 All of the essay entries were carefully considered based on how the essay was structurally crafted, the content of the work, and the expression of understanding the importance of connection with the natural world. All of the entries demonstrated real compassion and a heartfelt desire to be a good steward. along with the winning entries. on display until the end of April 2012. 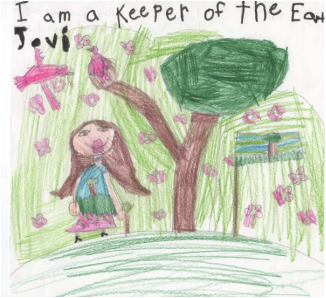 Congratulations to all of the children who participated for showing what outstanding Keepers of the Earth they are. All should be very proud of the work they created and know that together they can make a difference.